Did you know many content items in Canvas can easily be copied? 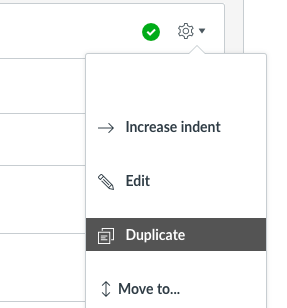 Instructors can use the Duplicate feature to make quick copies of existing content, such as pages, discussions and assignments. 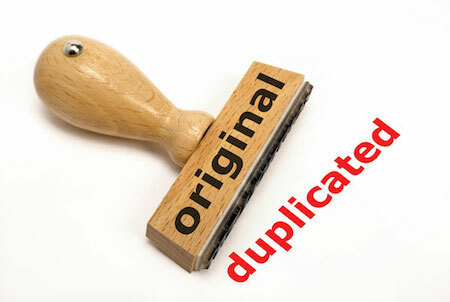 One of the most effective ways to use Duplicate is by developing templates for commonly used content items. Create a single Page or Assignment with basic headings, instructions and other common elements, then use Duplicate to create a copy and customize as needed. This can improve consistency in your content, and provide a more efficient workflow. The online environment can sometimes seem distant and impersonal. Adding a photo to your own Canvas profile can help your students feel just a little more connected to you and your class. Add an existing photo, or take one on the spot using your webcam or mobile device. 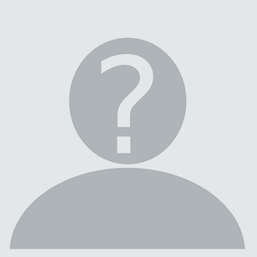 Take a look at the People section of your class to see how many of your students have added their own profile photos. Do you use assignments in Canvas? Students are normally notified of new assignment grades and comments immediately, which means one student gets their grade first, and another gets their grade last, sometimes with many days in between. 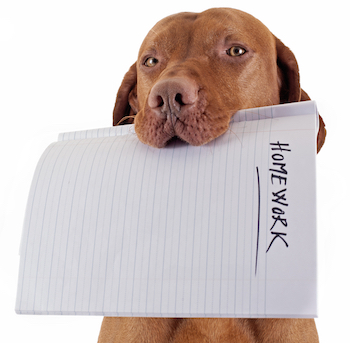 By “muting” and assignment, instructors can delay these student notifications until all submissions have been graded. To deliver grades back to all students at the same time, mute an assignment while grading and commenting, then unmute it after grading is complete. How do I mute or unmute an assignment from the Gradebook? How do I mute or unmute an assignment from SpeedGrader? QUICK TIP: Speed Up SpeedGrader! SpeedGrader can be an efficient and powerful tool for viewing, annotating, commenting and grading student work. But a few tweaks can fine tune it for faster instructor performance! Canvas includes the ability to review past revisions to a Page, and revert to an older version, if needed. 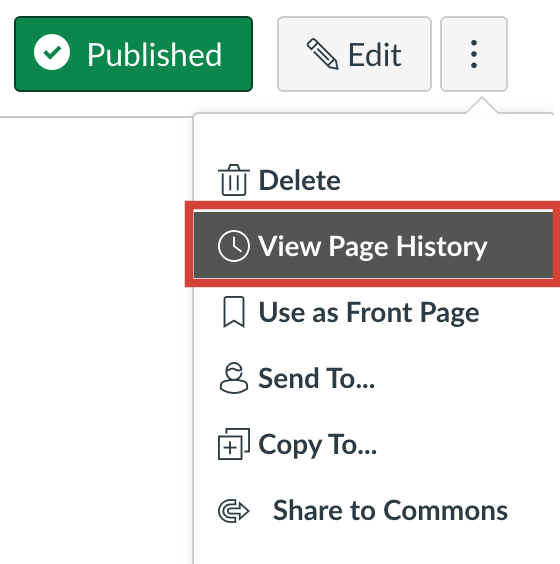 From any page, click the gear icon to reveal the option to View Page History. 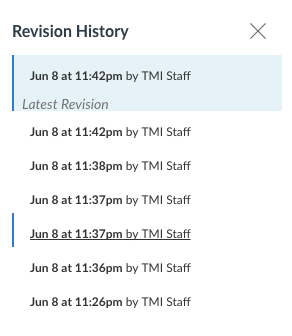 Revision History provides access to past versions, and revert if needed. Did you know you can see a list of deleted content in a Canvas course, and recover it? On the home page of any course, note the URL. The Restore Deleted Items page will display a list of items in chronological order, including a restore button used to recover deleted content.